Workers in the United States don’t make double what workers make in Japan or Switzerland. Why should U.S. CEOs routinely make double — and often much more — than Japanese and Swiss top execs? 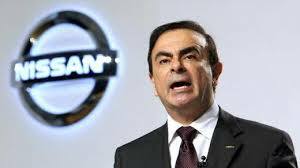 Carlos Ghosn, the CEO of Japanese automaker Nissan, pulled in just over $10 million last year. That made him Japan’s highest-paid chief exec, by a wide margin. In the United States, $10 million barely rates as CEO average pay. The free market made us do it. Ask members of any American corporate board of directors why they pay their CEO so much and you’ll get some variation on this market-inevitability theme. To compete effectively in the world economy, Corporate America’s argument goes, we need world-class executive talent. And that top-notch talent costs. We’re just paying the going market rate. That argument, on its face, certainly seems credible enough, except for one inconvenient fact: Corporations elsewhere in the developed world pay their top execs far less than what U.S. corporations pay, and these corporations seem to be competing — and thriving — quite nicely in the global marketplace. The gap in corporate executive pay between U.S. firms and their foreign rivals has been the dirty little semi-secret of corporate compensation for some time now, ever since U.S. CEO pay first started soaring in the 1980s. Analysts have periodically documented that gap, nation by nation. But their data haven’t percolated into America’s public consciousness. One reason: All the annual CEO pay surveys that appear in America’s top media outlets seldom drop in any international perspective. The annual CEO pay surveys that appear in America’s top media outlets seldom drop in any international perspective. Take last week, for instance. On Monday, the Wall Street Journal unveiled its latest listing of America’s highest-paid CEOs. In 2013, the Journal list shows, 186 chief execs in the United States walked off with $10 million or more in compensation, 32 of them with over $20 million. The Journal’s figures appeared just a day after the Washington Post unveiled its latest pay tally for chief execs in the nation’s capital region. The area’s 10 highest-paid execs, the Post related, last year pulled in a combined $198.8 million. Nine of the local D.C. area execs scored over $10 million. Executive pay stories like these typically compare America’s latest executive pay totals to comparable totals the year before. They’ll also often compare the new executive pay rates to the paychecks average workers are taking home. But the comparisons rarely extend offshore, despite the ready availability of international information. In Japan, for example, corporations have had to disclose all annual executive compensation over 100 million yen, about $980,000, since 2010, and analysts at Tokyo Shoko Research have just released their first take on the required disclosures for 2013. Some 41 major Japanese corporations, this new analysis notes, have so far reported their executive pay totals for last year. Only one exec from these firms pulled in over $10 million for the year, Nissan’s Carlos Ghosn, with $10.7 million. Overall, 72 executives at the 41 companies made over $980,000. The total number of Japanese execs making about $1 million or more, once all companies file their figures, appears likely to reach a bit over 300, a total that would match Japan’s all-time record for million-dollar execs set two years ago. In all of Japan, only just over 300 corporate execs pulled down at least $1 million in compensation last year. In other words, in all of Japan, only just over 300 high-ranking corporate execs pulled down at least $1 million in compensation last year. One comparison: Just in the Dallas-Fort Worth metro area alone, the Dallas Morning News has just reported, exactly 100 chief executives grabbed at least $1 million in 2013. And that total doesn’t include any of the $1 million-plus paychecks that went to Dallas area execs under the CEO level. At Solera Holdings, an auto software firm, four execs besides the CEO last year each collected at least $5.1 million. New executive pay figures for 2013 also surfaced last week for Switzerland, a nation that saw two contentious national ballot referendums on corporate compensation last year. In the first, voters outlawed signing bonuses and golden parachutes for CEOs and gave shareholders the power to vote down lavish executive pay packages. In the second, voters rejected a proposition that would have limited executive pay to no more than 12 times a corporation’s lowest pay, mainly because the Swiss public wanted to give the first proposition a chance to make a difference. Switzerland’s corporate pay divides continue to pale against corporate pay gaps in the United States. How much has the Swiss corporate pay gap widened over the last year? At the banking giant UBS, the top exec pulled down 229 times more pay than the bank’s lowest-paid employee, up from 177 times the previous year. The chief exec at UBS collected $12 million in compensation. At Nestlé, the world’s largest food company, the top-bottom pay ratio hit 230 times. These pay gaps have rekindled the Swiss public furor over executive pay. But Switzerland’s corporate pay divides continue to pale against corporate pay gaps in the United States. The typical U.S. CEO, the AFL-CIO detailed this past spring, made 331 times the pay of the average American worker in 2013 — and 774 times the pay of a minimum-wage worker. Many of America’s most generously compensated CEOs tower even higher over their workers. McDonald’s, Starbucks, and Dollar General, the compensation-tracker NerdWallet calculates, all take home over 1,000 times the pay of their typical hourly workers. Another Web media presence that tracks compensation, Glassdoor.com, puts the average pay of a customer account specialist at cable giant Comcast at $13.26 an hour. Comcast CEO Brian Roberts pocketed $31.4 million in 2013, 1,138 times as much on an annual basis. And the rationale for all this top-heavy corporate compensation? Apologists for America’s executive elite are still singing the same market tune. Keep talent from what? Taking a job in Japan?